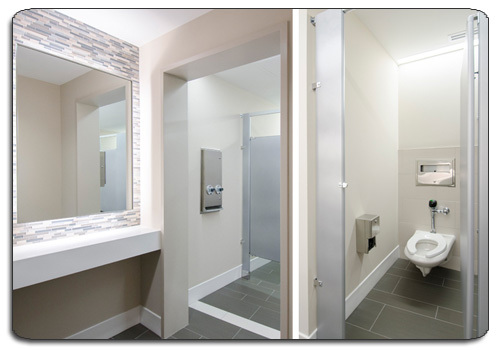 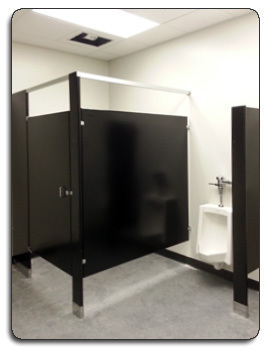 Professionally designed, planned, and installed toilet partitions and urinal screens. 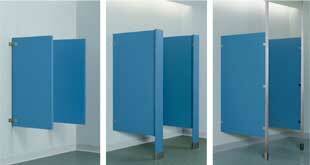 Coordinate toilet partitions with urinal, entrance screens, shower dividers and dressing compartments. 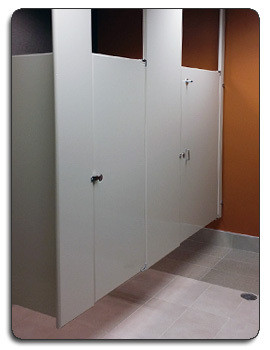 To view toilet compartment and washroom accessories, click here. 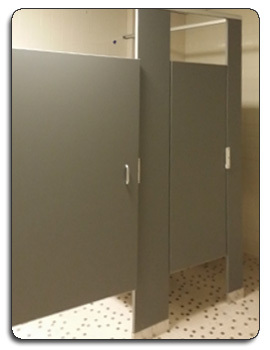 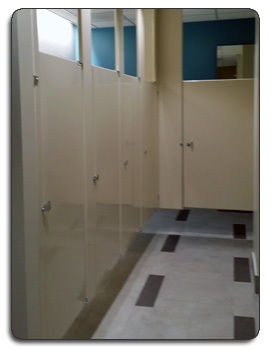 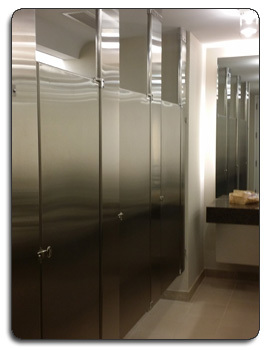 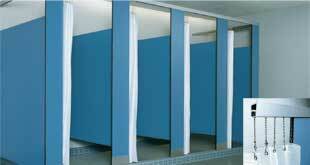 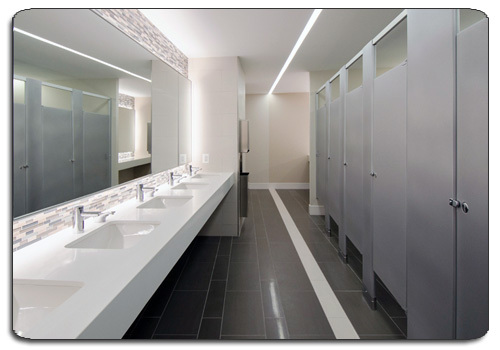 Contact Snap Wall for professionally installed public bathroom toilet partitions and urinal privacy screens.